Television’s changing modes of production, distribution, and consumption are ushering in an identifiable genre of “crossover” television programming through the popularization of queer and trans content, which includes series such as Orange Is the New Black (OITNB, Netflix), Transparent (Amazon), and Her Story (Web Series). This presentation examines the invitational structure through which queer crossover television programs address larger audiences by analyzing a selection of paratexts (e.g., press reviews, official promotional posters, advertising campaigns, trailers, etc.) from season one of Orange Is the New Black, Transparent, and Her Story. As I argue, while these programs make space for queer and trans content within dominant and popular culture, how they are framed and marketed to audiences addresses and imagines cisgender and straight-identified audiences as a category of viewership. Katerina Symes is a PhD candidate in Communication Studies at Concordia University. Her research is supported by the Social Sciences and Humanities Research Council of Canada (SSHRC). She is co-author (along with Krista Geneviève Lynes) of “Cyborgs and Virtual Bodies” in the Oxford Handbook of Feminist Theory, and author of “Orange is the New Black: The Popularization of Lesbian Sexuality and Heterosexual Modes of Viewing” in Feminist Media Studies. 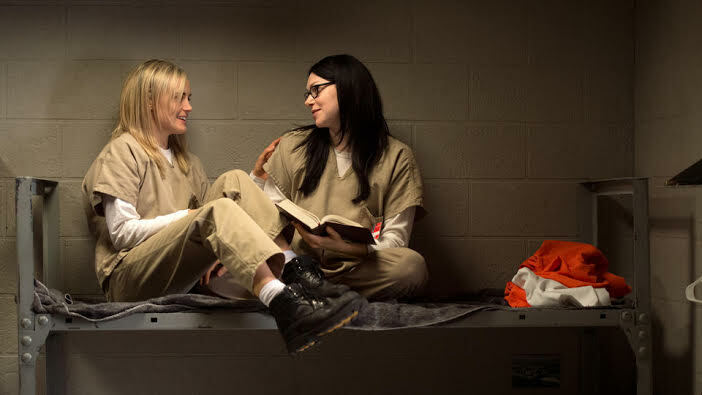 Her forthcoming article “Orange Is the New Black: Menstruation, Comedy, and the Unruly Feminine” can be found in the special issue of Demeter Press: Feminist Publishing on Mothering, Reproduction, Sexuality and Family entitled Menstruation Now: What Does Blood Perform? The 5 à 7 Open Studio Series provides a forum for informal encounters among members of the Studio and the community. It consists of presentations, conversations, or critique seminars by visiting scholars, artists and activists, presentations by Studio members of work in progress (both textual and media-based), and discussions around themes that link the practices and commitments of the Feminist Media Studio community. A common theme of the 5 à 7 gatherings consists in exploring the intersections of research, creation, and political engagement in feminist work (historically, and in our current efforts to articulate our research praxes, collectively).